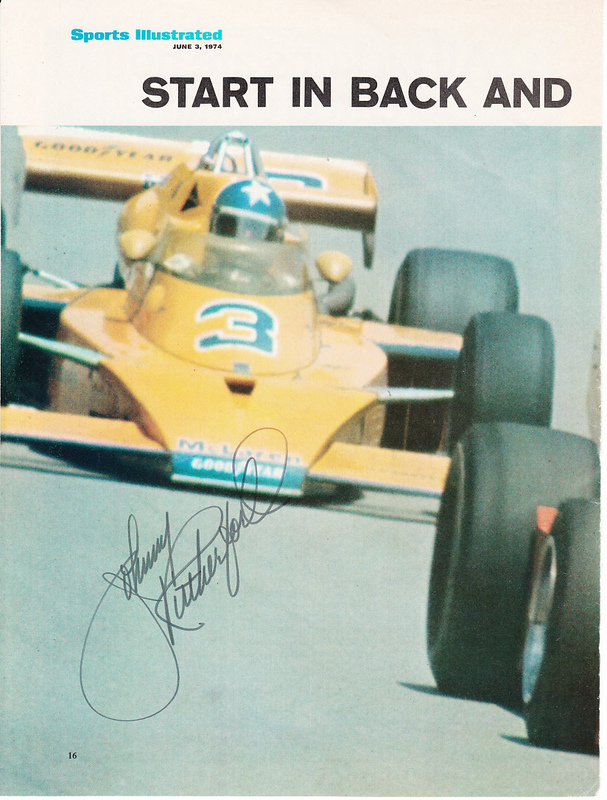 1974 Sports Illustrated full page magazine photo autographed in thin black marker by Johnny Rutherford, who won the Indianapolis 500 that year and twice more during his Hall of Fame career. With certificate of authenticity from AutographsForSale.com. ONLY ONE AVAILABLE FOR SALE.